Hey All. I know its been a little while since I've posted anything on here. Things have been insane at work...Ive been working a temp position to help out, but I never thought it would lead to a full time position. I now am working a lot better hours so that means I get a lot more time back to do the things that I love. 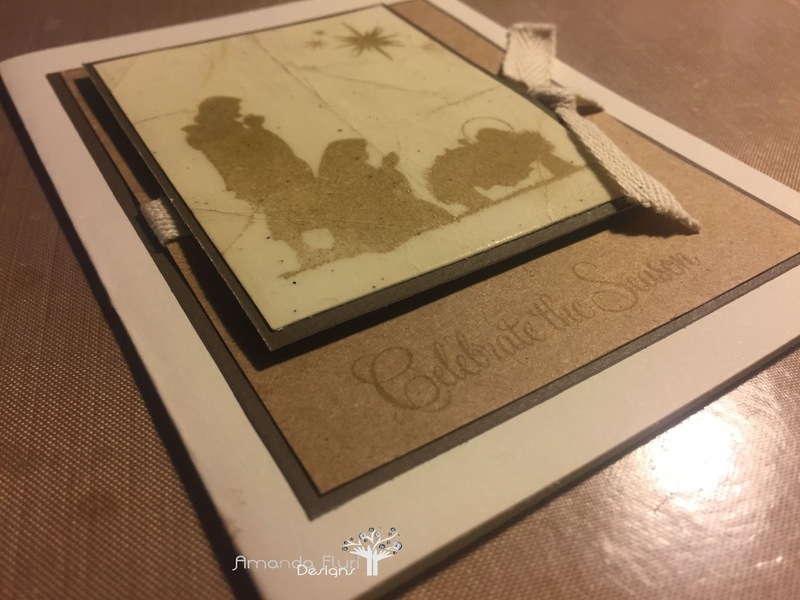 Blogging and making cards. I looked at my stash of Christmas cards, and if you are like me you need to join us at Christmas Card Challenges to start building your stash so that you have cards to pass out this year. I am starting to scramble, because I don't know if I will have enough. 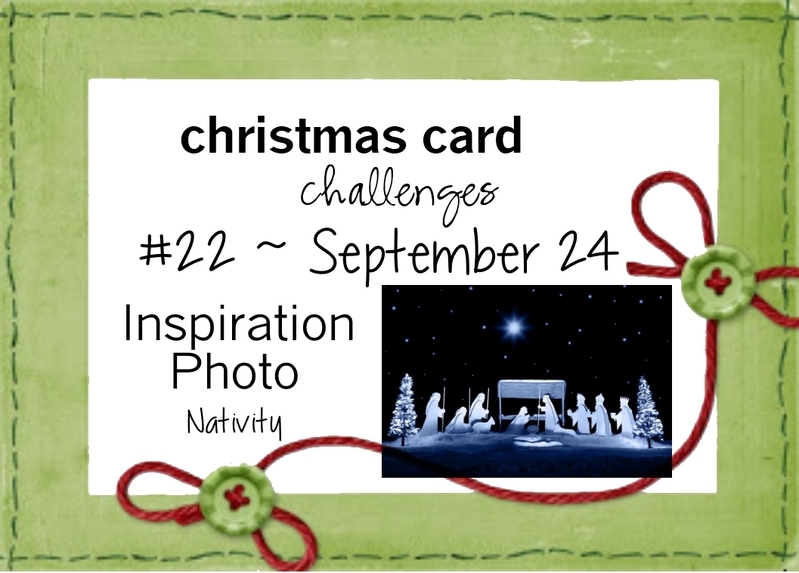 This is our new challenge at Christmas Card Challenges. 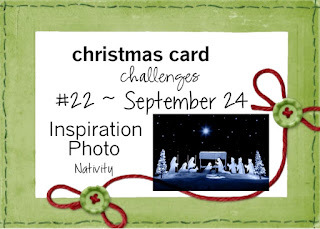 You have 2 weeks to play along with us, and you can use this challenge as inspiration otherwise or as long as you enter a Christmas Cards thats okay too! 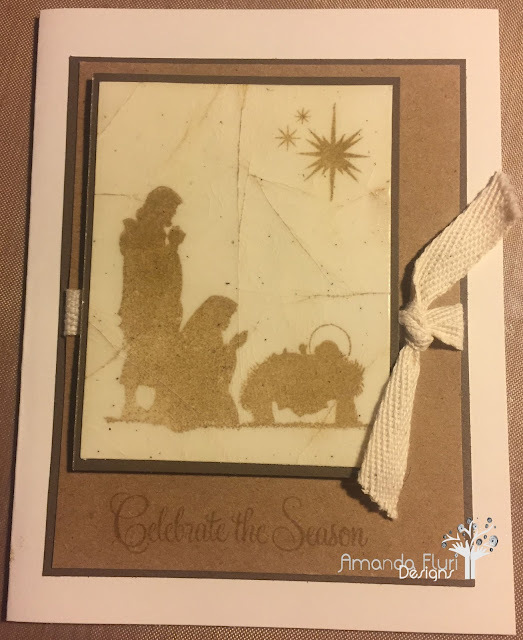 I decided it's been a while since I've done a rustic card, that this was the perfect opportunity to do so. The lighting is a little bit funny in these pictures, however I did clear emboss over the image. I put it in the freezer to get cold, and then did a 2nd and 3rd layer. Once I had cooled the 3rd layer I took it and cracked the embossing, and smooshed in some ink to make it look like an old tattered picture. I am very happy with the way it turned out. I wish that I had a Misti Tool so that I could have stamped the sentiment a couple more times to make it darker, but Im working with what I've got currently. Thank you for stopping by, and Ill be back really soon with some more creations. Please leave some love below in the comment section.